As someone who establishes, shapes, and moves forward by writing out their thoughts; I think it is a good exercise to write about works that attract me for reasons I could not identify. It is the most satisfying form of writing not to know where I will end up when I start writing down the first sentences. The feeling that Boomoon's work has left me with is something I haven't been able to put into words yet, but I've been tracing them. As I am making such a personal introduction to the subject, I hope it will be acceptable to keep going with this tone a bit further. When it comes to art, I believe that meaning goes from the person to the content, not from the content to the person. I, therefore, believe that the person who looks at a work constructs the meaning.1 The artist, who produces a work, and the meanings of the viewer who is looking at that work, are added together and form the whole of the work together. What I intend in this text is to try to solve the meanings of Boomoon that he charged the works while thinking about my own meanings as a viewer. Boomoon’s imagining the viewer as someone looking from behind the camera instead of looking directly at the landscape, determines my position; the viewer that Boomoon imagines should be looking at the landscape as the person recording it would. This point should be kept in mind when trying to understand the artist's works. The artist's works for the Bosphorus project, as well as other notable projects by the artist including Skogar, Falling Water, and Waterfall prominently feature the landscape and water. This focus also becomes more obvious not only through the artist’s subject but also his perspective, which he keeps constant, the height of his gaze and his exposures. Therefore, the way to understand the artist's works is to first try to understand these clues and to take a closer look at the keywords. In her book “Why It Does Not Have To Be In Focus”, Jackie Higgins adds the photographers Andreas Gursky, Sohei Nishino, Olafur Eliasson to the subgenre of landscape photography.2 This inclusion highlights how landscape photography is no longer just about nature but also about the “gaze” and/or “memory”. It is interesting to me that photography, a relatively new and flexible artistic genre compared to other visual arts disciplines, rises to prominence as a medium coinciding with the development of the modernization theory. In this sense, the identity of photography, which has not yet been set and is a very open discipline, has also been strongly influenced by globalization and modernization. That was a stimulating effect, of course. However, many artists positioned themselves in reaction to these developments. 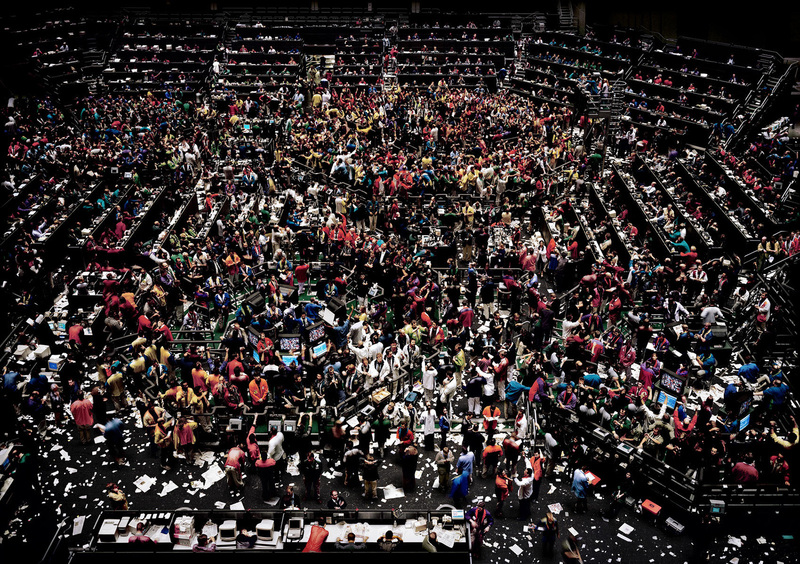 Perhaps the most prominent of these names is Andreas Gursky, who has been stamped by the world economy and advanced technology in his production, presenting these phenomena in a seductive and flawless manner. Or Sohei Nishino, who interprets urban concepts with his own unique technique—another very important name for landscape photography. In the second half of the nineteenth century, the images produced for research purposes on irrigation or rail systems are visually close to landscape photography, but their distance to meaning is another issue altogether. What I mentioned at the beginning, the proposition that the content does not determine the meaning is blinking at us again. Boomoon, however, prefers to remain within the traditional boundaries of style, ignoring this transformation and flexibility in landscape photography. The strength of the artist’s work stems from doing the same thing, every day, over and over again, and photographs that could be defined as “nature itself”. 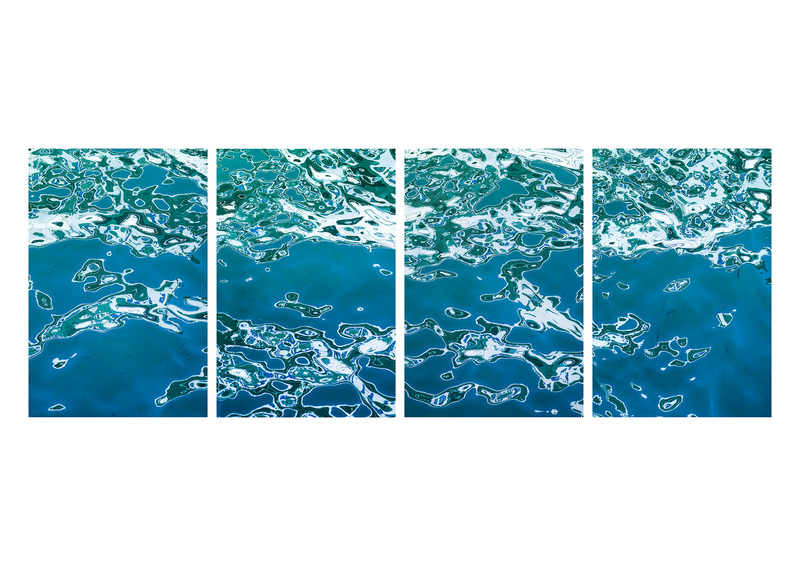 It is interesting for me to think about how this artist whose production appears to have set rules and not to have surprise elements focuses on a subject matter like water that never remains the same for a pair of eyes, which meticulously and patiently looks at it. I think about Hiroshi Sugimoto—a photographer whose work, I think, Boomoon builds on—has said about his Seascapes, “That’s probably the same vision that many certain years ago people stood on the edge of the cliff looking at the seascapes. So this is just a sample to give you a kind of a time trip, time machine trip, to go back to very ancient memories of our culture.” Boomoon’s photographs, which never include the human element, are wholly isolated from the notion of time, because none of the photographs includes anything different from what the people looking at the water thousands of years ago would have seen. At this moment, however, there is a duality arises from the nature of water itself. Water is not new nor different from what it was thousands of years ago; at the same time, there is never a possibility of repeating any wave, drop, and any collisions, each and every movement is unique. An image that can only be acquired once throughout the universe, for the mind who chooses to believe it, has a miraculous effect. 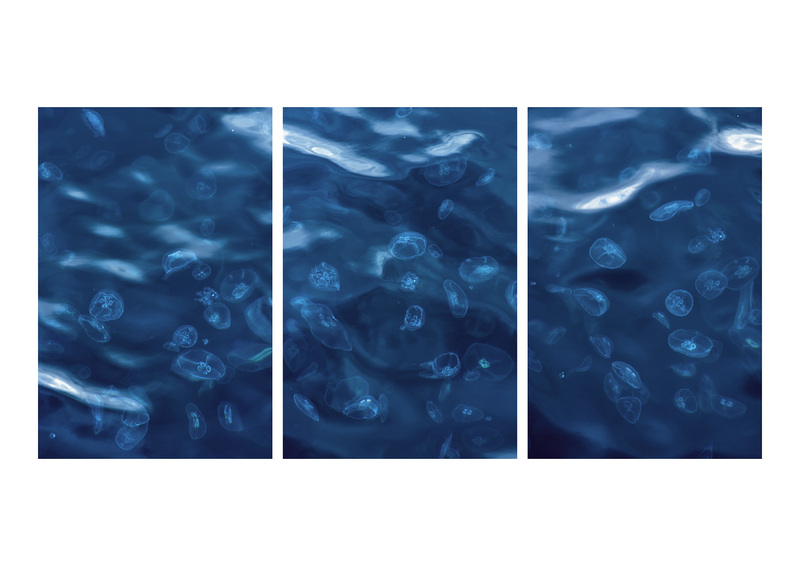 The duality lies right there: Boomoon's water-based photos belong to the eternal on the one hand; on the other hand, they have the miraculous uniqueness of a single moment. Dozens, even hundreds of photos, which are drawn on one subject, separated by only small nuances, but still different from each other, reinforce this feeling. When I think of other metaphors on the water, I come across a new duality. Water, which I imagine in my mind with modesty and its other physical attributes, is an element that helps others succeed, while it could not be articulated as independently successful. Its physical form is mostly horizontal and low. Furthermore, it is flexible and adaptable to changes. 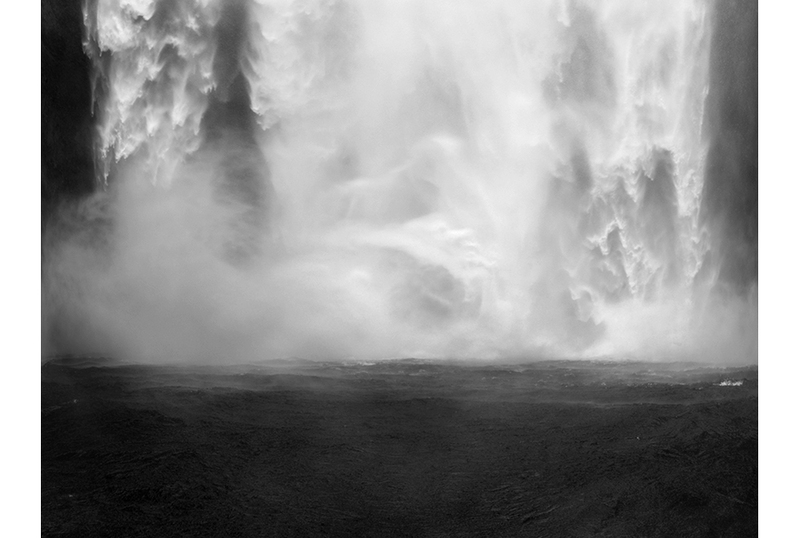 But in Boomoon's photographs, water is different from all these features; it is often portrayed vertically, spilling/falling and with/has a very angry form. The water that we come across mostly in the form of waterfalls has a destructive effect rather than a healing power. This non-stop and unidirectional effect never gets out of the background and attracts attention. Moreover, Boomoon does not limit this effect to a single image. The thing that makes the artist's work so thought-provoking is, as I mentioned, his doing the same thing, over and over, again and again, when he does it for the same purpose. In the same place, with the same variables, but not taking the same photograph. Each miracle can be described as a moment by bringing together the total nature of the silent and the ordinary. By bringing together each moment that can be defined as a miracle, the total being transformed into the silent and the ordinary aspects of nature. If the camera is a vehicle that stops time, rather than recording a memory of time, it acts as a vehicle for the movement of time. I imagine Boomoon having set up his tripod inside the water. I imagine the camera stopping the photographer instead of stopping the moment, nailing him to a specific spot. And the photo becomes a representation of time with the image produced over and over again. When all these thoughts come together, I can't help but think that Boomoon is a photographer who shakes up the foundations of both photography and nature as we know them. These tiny battles contained within the works that appear quiet and plain at first glance require a meticulous and patient gaze, just like water. When the Bosphorus series is taken into consideration within this framework, it also has a similar potential to harm, it appears ominous. The diptych and triptych pieces begin to play with notions of time and these large-scale prints, which allow you to trace the sparkles and brilliances, draw you in. 1 Here, I’d like to refer to the dear Orhan Cem Çetin. 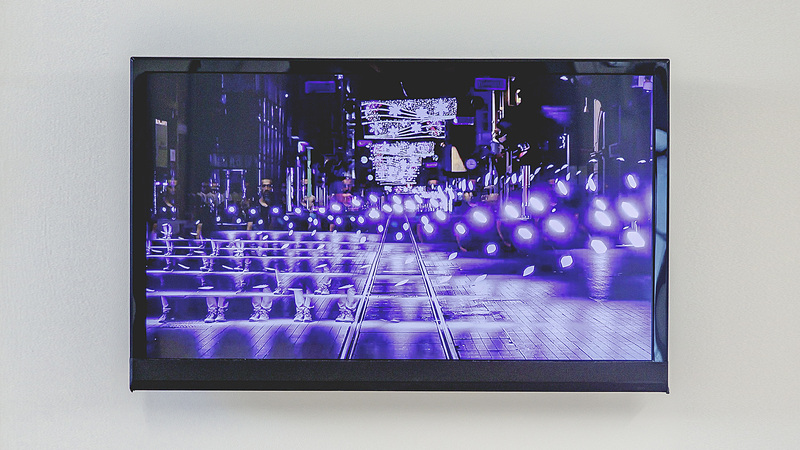 2 Jackie Higgins, “Why It Does Not Have To Be In Focus” 2013.
was born in 1992 in Ankara. She has completed her studies in Political Sciences at METU in 2018. She encountered photography in 2011 and has been working on creating a subjective language using both photography and text since 2011. In addition to this work, she writes text-interviews, catalogue essays, and artistic texts for various publications. She assisted with Gözde Türkkan’s 2015 “Wish Tree” exhibition and worked on the exhibition design, texts, and artist book for the eponymous project. She continues to work as a coordinator for The Booklab project by Frederic Lezmi and Okay Karadayılar. 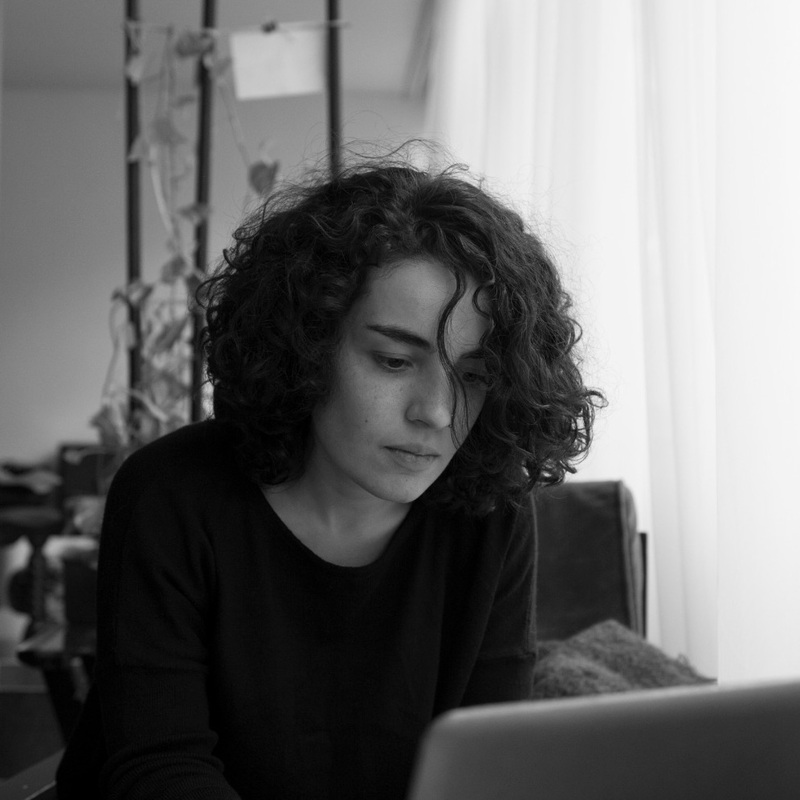 She is a member of the team at Torun, an Ankara-based artist initiative. She is a co-editor of the Orta Format Magazine since 2014 and has launched the “open letter” project there. The collection exhibition They are uttered and unfinished, all the loves in the world curated by Necmi Sönmez explores the evolution of creative practices. The international selection of works from the collection is the most recent chapter in the series of exhibitions that have spread across three years, researching conceptual frameworks that draw on the oeuvres of literary figures from Turkey, including Cemal Süreya and Turgut Uyar.